The long cold winter has finally given way to the refreshing breezes of spring. Everyone living and working in Binghamton is glad to see the new season arrive. Winter has its place, but spring in Broome County is always a great time for renewal. If you’re a local Binghamton business owner it’s also a time to reassess your alarm system. While spring brings out the cute bunnies, pretty flowers and a slew of birds, there is also another element that comes out of hibernation – the criminal element. 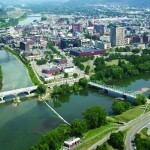 There is no question about Binghamton being a great place to live. Some families have lived in this area for generations. Even so, the city does attract plenty of temporary residents and out of town visitors. With this constant influx of people, along with the ever-changing economic conditions that motivates certain individuals to commit crime, there is no reason to think that someone won’t try to break in and steal your money or property. This is the reality everyone lives with these days. No matter how well you run your business or treat customers. Someone out there is planning to take advantage of you as soon as you let down your guard. Relying on an old and outdated security system. Or worse, a fake system that offers no real protection is not good enough in today’s risky world. Teledair specializes in alarm systems for Binghamton for all types of local businesses that require more advanced security. Because security is our area of expertise, we know that an incomplete or weak security set up is simply not a deterrent for the really ambitious criminal. The fact is that while you are busy running your business someone could be targeting it for infiltration. The most cunning crooks will case your company from the outside or inside to see what type of security systems you have in place. If they find a weakness to exploit, they will pounce. The next day you would be scratching your head wondering how they managed to get through your security. The answer is that weak systems make it too easy for them. Teledair is helping your fellow business owners tighten up their security so that they do not have to deal with opportunistic criminals. One of the local businesses we assisted was Nirchi’s Pizza & Pasta. 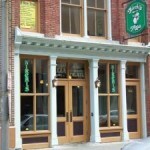 Nirchi’s makes delicious Italian food, which attracts a steady stream of customers. Restaurants are always prime targets for theft. So, they had us come in and install a burglar alarm system and camera set up. Now, they serve meals without worrying about who might try to rob them blind. Springtime is the perfect time to consider adding or replacing the current security you have in place. We offer the latest burglar alarms in Binghamton and access control systems Binghamton. Contact Teledair Communications and Security today for a free security consultation.